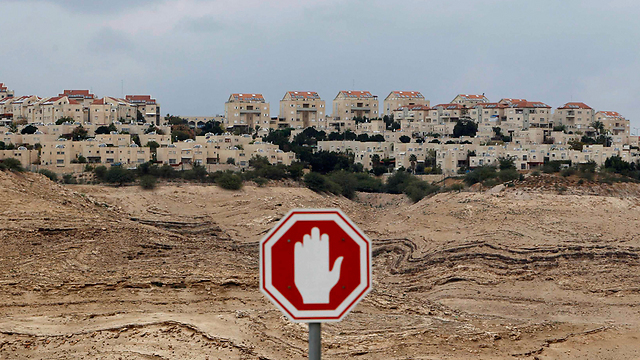 Ynet has learned that the World Zionist Organization's executive committee decided to end the Prime Minister Office's oversight over the controversial division spearheading West Bank settlements, in move that could in fact increase transparency, harm settlement funding. World Zionist Organization's executive committee decided Thursday morning to retake control over the controversial Settlement Division – which has recently inspired anger after a young MK and local media revealed that it had been indirectly receiving large amounts of funds for building West Bank settlements. For nearly half a century, the WZO's Settlement Division played a key role in managing land and infrastructure in the bitterly disputed settlements. The division is officially affiliated with the WZO, but is funded and run through the Prime Minister's Office. Although its funding comes entirely from the government, its finances are largely kept secret, a fact which has put it inthe cross hairs of local media outlets and MK Stav Shafir, who claim that settlements and political pet projects are getting the lion's share of the budget. Coupled with reports of possibly illegal abuse of funds, the division has faced calls for reform from both the left and center, especially ahead of the March 17 election. The executive committee's decision is unorthodox and it remains unclear whether the state will fight the move. Regardless, the WZO vows it will work to increase transparency and make its records public. Moreover, the WZO said it will appoint a special comptroller to look into the division's workings. The move was led by left-wing party Meretz's faction in the committee, led by the party's director-general Dror Morag. The World Zionist Organization, an international body founded more than a century ago, promotes Jewish education and immigration to Israel. It serves as an umbrella group for a host of international Jewish groups and youth movements. The Settlement Division was founded with the goal of creating and supporting rural communities in the West Bank, Golan Heights and other areas in Israel proper. As part of the Israel Police's ongoing investigation into a large political corruption scandal, the Lahav 433 Anti-Fraud Unit recently raided the division's offices and seized various documents. The raids took place at the Settlement Division's northern, central and southern district offices. The investigation focused on tenders issued by the Settlement Division for projects that were carried out in the regional councils whose heads have been arrested as part of the wide-scale corruption probe – Shomron Regional Council leader Gershon Mesika, Tamar Regional Council leader Dov Litvinoff, and Megilot Regional Council leader Mordechai Dahman – all in the West Bank. Thus far, police haven't arrested any suspects from the Settlement Division, which every year receives several financial packages that significantly inflate its original budget. These monetary transfers, carried out with the approval of the Knesset Finance Committee, are often said to stem from the coalition agreements between the various political parties. The Settlement Division is very closely linked to both Yisrael Beytenu and Bayit Yehudi, and the body employs several officials from these parties. As revealed by Ynet's economic sister website Calcalist some six months ago, the Settlement Division's budget has increased by more than 600 percent since the beginning of the year. Calcalist recently reported that the Justice Ministry soon would recommend the division's closure. Officially, Justice Ministry officials would confirm only that the issue was being investigated. 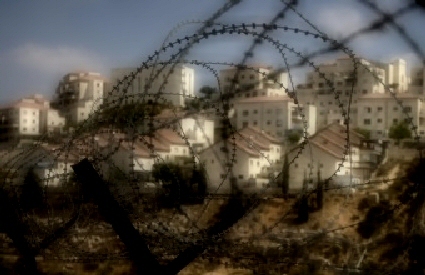 Last year, the Knesset's Finance Committee, chaired by pro-settlement lawmaker Nissan Slomiansky from the Bayit Yeudi, increased the Settlement Division's funding for 2014 to about $126 million, more than eight times the sum originally budgeted for the group, according to data from the oBudget.org transparency website. 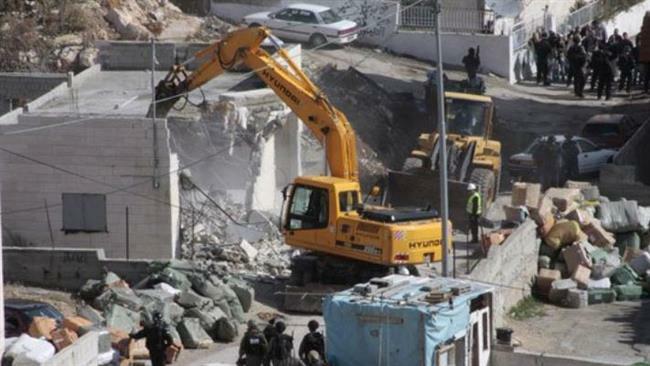 The Israeli occupation authorities (IOA) have recently started new excavations, covering a 2,000-square-meter-area, beneath Ein Um al-Daraj neighborhood, in Silwan, in occupied Jerusalem, member of the Committee for the Defense of Silwan Lands, Fakhri Abu Diab, said. The excavated area includes the establishment of a 1500-square-meter museum, comprising a set of artifacts and pottery ceramics, dating back to ancient historical epochs and which have recently been subjected to Judaizaing transformations, he added. Another excavated 500-square-meter hall has been allotted to propagating Jewish narratives and biased historical versions, he elaborated. “This is where the official sites, administration, government offices, had been under King David’s crown,” a stone engraved with Hebrew letters claimed. The Jerusalem district planning and building committee has approved a large-scale settlement plan that includes the construction of 5,230 housing units in the southern part of the holy city. According to the Israeli economic newspaper 'The Marker' on Monday, the plan, which was approved last week, included the evacuation of Jewish settlers from south of the city and compensating them with new apartments. Israel's settlement expansion activities in Jerusalem and the West Bank are ongoing all the time, but they have escalated recently as a result of the Knesset election fever. More than half a million Jews live in over 120 illegal settlements built since Israel’s occupation of the Palestinian territories of the West Bank and east Jerusalem. The UN and most countries consider these settlements illegal because they are located in territories seized by Israel in the 1967 war. Israeli authorities on Monday approved a solid waste landfill project on over 500 kilometers of land in occupied East Jerusalem. Israeli settlement researcher Ahmad Sublaban told Ma'an that the district planning and construction committee approved that plan, number 13900, to build a landfill on over 546 kilometers of land between the villages of al-Issawiya and Anata and over 13 of which will be used for a road network leading to the landfill. Sublaban said there were several objections by Palestinians as well as residents of the French Hill settlement, which were declined by the committee. The landfill will be built in a valley in Wadi Qasim and Wadi Kabina, on the lands of al-Issawiya and Anata where solid waste will be buried under construction remains, before a public park is built over it, the plan says. 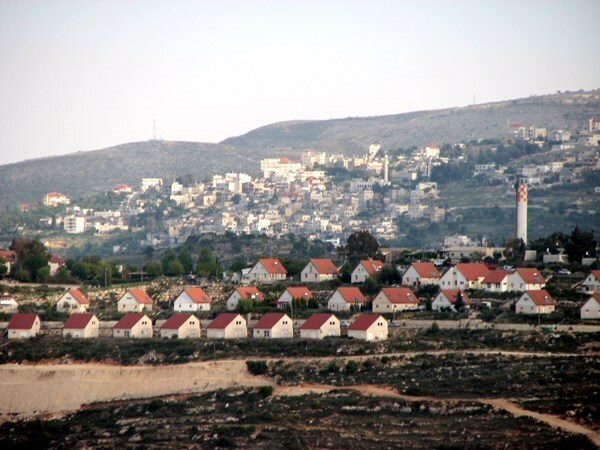 The landfill will be built close to the E1 planned settlement compound which is planned to hold 4,000 settlement houses, and aims to unite East Jerusalem and Maale Adumim settlement. Monitoring committee member in al-Issawiya village Mohammad Abu al-Homos said the committee will appeal to decision. He told Ma'an that the project does not serve Palestinians, but serves settlements in Jerusalem, adding that it is the start of the implementation of the E1 project. Abu al-Homos added that 30 Bedouin families have been living in that area for over 50 years, and their wishes were disregarded by the Israeli occupation. The right-wing Jewish foundation for the Western Wall Heritage has declared new tenders to carry out excavations under the Western Wall of al-Aqsa Mosque on February 20. Head of the PLO department for Jerusalem's affairs Ahmad Qurei warned in a statement issued Sunday of the seriousness of the Israeli move. A few days ago, a group of Israeli engineers and contractors had secretly toured al-Aqsa Mosque to explore the location as a prelude to participate in the tenders, Qurei revealed. 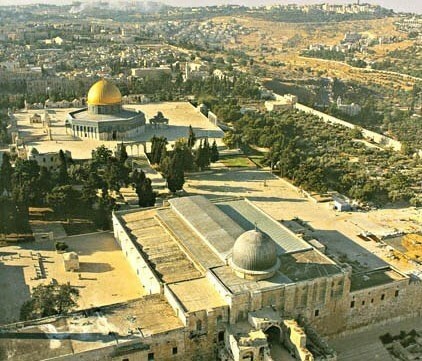 He pointed out that the Israeli occupation government works to create new paths and chambers under the Western Wall of al-Aqsa Mosque in order to enhance its Judaization schemes in the Old City of occupied Jerusalem. 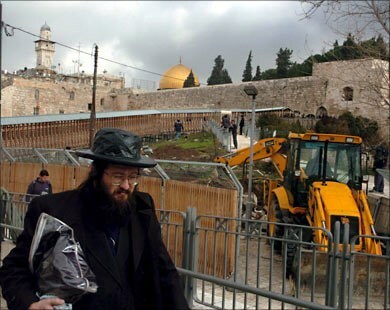 He warned of Israel's excavation work under the Old City as part of its efforts to displace the indigenous Palestinian residents and replace them with Jewish settlers. For its part, al-Aqsa Foundation for Endowment and Heritage has confirmed in a statement issued Sunday that Israeli authorities had already started excavations under the Buraq Square to west of al-Aqsa Mosque. The excavation works aim at establishing a new centralized power control network under al-Aqsa Mosque, the statement added. The Foundation pointed out that remains of historical buildings of al-Magaribeh Gate were removed a few weeks ago as a prelude for the construction of the mentioned power network. Islamic historical archaeological sites will be removed during the excavations, the statement underlined. The Israeli occupation authorities (IOA) Sunday began construction work for the expansion of the illegal Israeli settlement of Tzur Hadassah, built in a Bethlehem village. 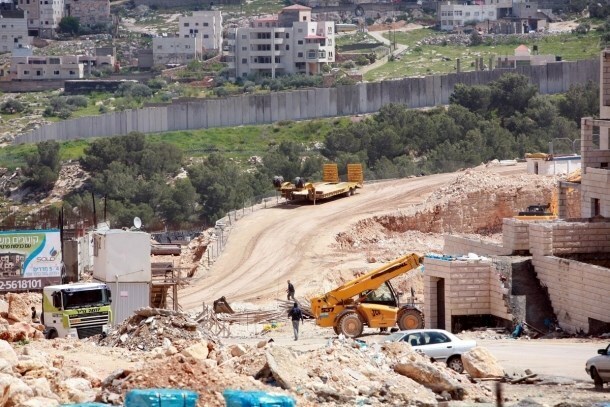 Head of Wadi Fukin village council, Ahmad Sokar, said the Israeli occupation forces, escorted by army bulldozers, proceeded with razing Palestinian land tracts in the outskirts of the village to open way for the expansion of the illegal Tzur Hadassah settlement. He stated that these expansions aim to establish new settlement outposts in the area, particularly following the latest Israeli government’s announcement of new tenders for the expansion of settlements at the expense of Wadi Fukin land lots, covering an area of some 1,200 dunums. Sokar warned that such settlement schemes, engulfing the village from all sides, would pose great danger on the residents and the infrastructure due to the splattering rocks resulting from the construction works. Jerusalem Mayor Nir Barkat announced hundreds of millions of New Israeli Shekels (NIS) have been set aside for the reinforcement of the Jewish identity in east Jerusalem under the guise of implementing vital investment projects. During a press conference, Barkat said more than NIS 300 million has been allocated specifically for east Jerusalem over a five-year plan. Of that, he said NIS 100 million will go toward security, while NIS 200 million will be allocated for infrastructure. “An additional NIS 350 million is earmarked for “boosting culture and tourism there”, he said. Barkat also said one of the municipal priorities is the investments in Arab schools by changing the Palestinian educational curricula. He claimed that the Israeli curricula are more developed and “enhance the Jewishness of the state”. Barkat, who is one of the settlers and supporters of settlement in Palestinian occupied lands, said that Arab youths were responsible for the vast majority of the city’s violence. British Consul General Alastair McPhil on Wednesday said he was "horrified" by the effects of Jewish settlement construction on Palestinian communities in the West Bank. The statement came during a visit to the villages of Turmsayyiah, Sinjil, Al Mghyyer, and Kusra where he met with local leaders and toured agricultural areas under threat of confiscation by Jewish settlers. 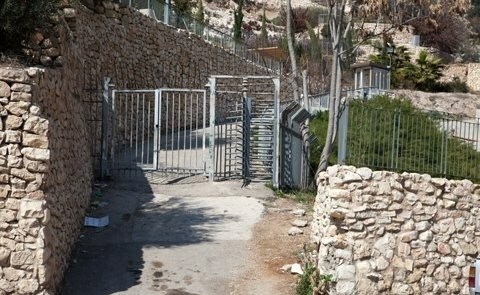 "I was horrified today to hear about the impact of settlements on Palestinian villages. Settler violence against Palestinian communities and property is unacceptable and must stop. Restrictions on access to land are hugely damaging to Palestinian farmers seeking to make a living," the official said in a statement. "The UK's policy on settlements is clear: they are illegal under international humanitarian law, an obstacle to peace and take us further away from a two state solution." "The UK is providing practical support to these communities to protect their land and property, and will continue to raise the issue of settlements with the Israeli authorities." 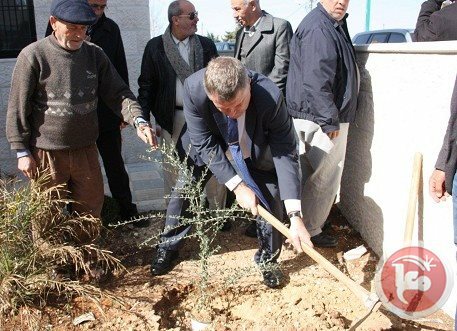 "Today I presented olive trees to the families we visited, as a symbol of our hope that they will be able to access their land in peace," he added. 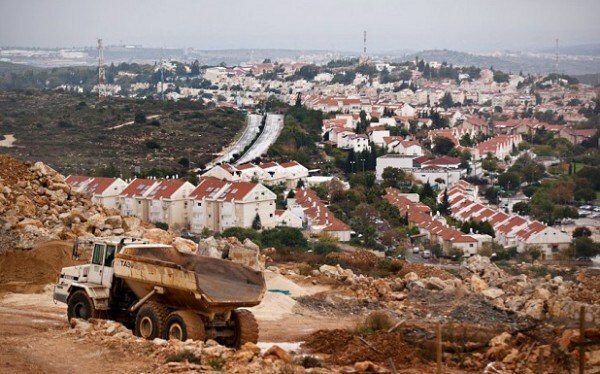 An Israeli news report revealed that the Israeli interior ministry had transferred millions of shekels to settlements to support expansion activities on Palestinian lands in the West Bank. According to the report, the Ministry transferred a grant of 62 million shekels to regional councils in the occupied Palestinian territories in December and falsely claimed that the funds compensated the regional councils for financial aid they would have been eligible to receive from the Jewish agency if they were not over the Green Line. However, the regional councils do not meet the criteria for aid from the Jewish agency because the agency stopped handing out grants to young settlements in 2003, due to financial difficulties. Despite the Israeli government's previous promise to the high court of justice to cut such funding, it continues to transfer hundreds of millions of shekels to the regional councils in the occupied territories. The grants received by regional councils in the occupied territories include an Oslo grant (2.5 million shekels), a security grant (37 million shekels), and a security needs grant (20 million shekels) as well as a young settlement grant for only some of the regional councils. A 24 million shekel young settlement grant was transferred to the regional councils of Megillot, Jordan Valley, Golan Heights and the Ma’aleh Ephraim. A 38 million shekel grant was also sent to Gush Etzion, Hebron Hills and Binyamin regional councils. 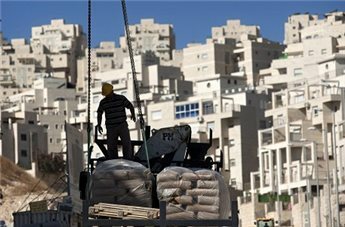 The European Union (EU) is planning to impose new sanctions against Israel over its illegal settlements in the occupied Palestinian territories, a day after the regime revealed its plans to build more units in the West Bank, according to Israeli media. EU officials are “talking about sanctions against companies that do business across the border; about legal measures taken by the Palestinians with regard to the settlements; and about the renewed proposal to establish a Palestinian state through the Security Council,” Haaretz cited unnamed Israeli officials as saying on Tuesday, according to Al Ray. The report also added that some European countries are working on independent sanctions against Israel. The EU had in the past years imposed bans on some of the products made in Israel’s illegal settlements. Israeli officials have deemed the issue significant because of its diplomatic implications. Israeli media also reported, on Monday, that Tel Aviv had grabbed up some four square-kilometers of Palestinian land near the settlements of Kedumim, Vered Yericho, Neveh Tzuf and Emanuel, in preparation to expand its illegal settlement activities. Also on Tuesday, the Palestinian Authority urged the international community to do more than simply denouncing Israel’s plan to expand settlements. “The international community should not be satisfied with declarations condemning the settlements” and the “evil policies to take control of Palestinian land,” Palestine’s Foreign Ministry said in a statement. More than half a million Israelis live in over 120 illegal settlements built since Israel’s occupation of the Palestinian territories of the West Bank, including East Jerusalem (al-Quds). The United Nations and most countries regard Israeli settlements as illegal because the territories were captured by Israel in the 1967 war and are, hence, subject to the Geneva Conventions, which forbid construction on occupied lands. The Israeli army issued a ruling, on Monday evening, considering large areas of the West Bank desert, a closed military zone, in preparation for the expansion of five illegal Jewish-only colonies, and for further military control. Head of the Land Defense Committee in Jerusalem Bassam Bahar said the decision would lead to preventing the Palestinians from even entering a large desert area in the West Bank, extending from ‘Anata town, east of occupied East Jerusalem, to Bethlehem and Hebron, and all the way to the Dead Sea. Bahar said the plan is part of Israel’s policies aiming at removing the Palestinians from their lands and replacing them with illegal colonies and military zones. He also said the Palestinian Authority in the West Bank previously declared its intention to create a natural reserve and an airport in this area, but Israel decided to block the move, and added that such a plan would lead to the illegal annexation of thousands of Dunams of Palestinian lands. 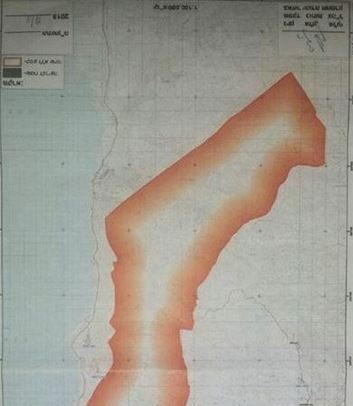 The official further stated that the Israel plan comes amidst a serious escalation of Israel’s illegal colonial activities, including its latest decision to displace thousands of Bedouins, in addition to “Greater Jerusalem” plan that would lead to the theft of more than 67.000 Dunams of Palestinian lands, east of Jerusalem. This would all lead to more outposts, more expansion of existing colonies, and implementing the E1 project that aims at connecting Maaleh Adumim and dozens of settlements east of Jerusalem, with settlements that extend to Jericho and the Dead Sea. The official said the Israel plans largely aim at preventing the establishment of an independent, contiguous state, and even to nullify any possible land swap as part of any future agreement. He called on President Mahmoud Abbas, and various legal and human rights groups, to contact different international groups, including the UN and the International Criminal Court to expose Israel and its ongoing crimes.